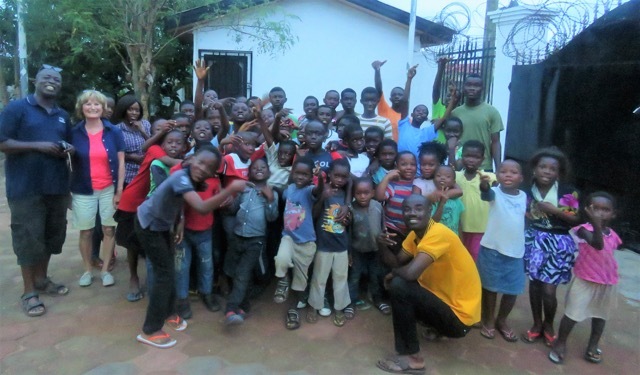 We just got back from Ghana where we had another successful visit. Anne conducted 2 Every Child’s Path sessions attended by approximately 75 teachers. We also visited our original 2 schools where we were greeted surprisingly by dancing, plays and music by all the children welcoming us. We reviewed the status of the construction of our Every Child’s Path School in Accra which has now overcome some of the municipal issues and is back on track. Hopefully if we can raise enough funds, it will be ready in 18 months. 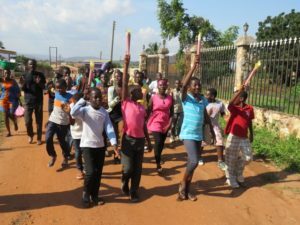 And of course, Ponacka Ghana, which was well attended on our first Sunday where we put together an Olympic afternoon with a torch run and a ceremony together with 4 teams composed of kids ranging from 4-15 years. The kids loved it and it was amazing to see that the varying ages of the kids on the teams was not a problem. In fact they embraced it as the older team members helped the little ones who were equally competitive. When we arrived on the second Sunday, it was very rainy and we did not expect many kids to turn up. Eventually the sun came out and the kids started trickling in and within an hour there were about 50. Kwame, Helena and the volunteers do such a great job in ensuring every Sunday is a positive experience. Of course, they were thrilled and very grateful for Ponacka’s contribution which I personally delivered in cash as it is so expensive to send money. Thanks again for all your support.